While Charles grew up in Florida in the 1930s and McBride was born in 1963 and spent his childhood in Missouri, both artists took an early interest in music and both embraced numerous genres. By the time he was 8, McBride’s church bought him his first piano and his love for music of all varieties continued to grow. As a teenager, McBride contracted a degenerative eye disease that would eventually take his eyesight. But that did not slow the pursuit of his musical dreams. Ray Charles, who, as a child watched his younger brother drown in a laundry tub and then lost his mother as a teenager, certainly faced his share of hardship. 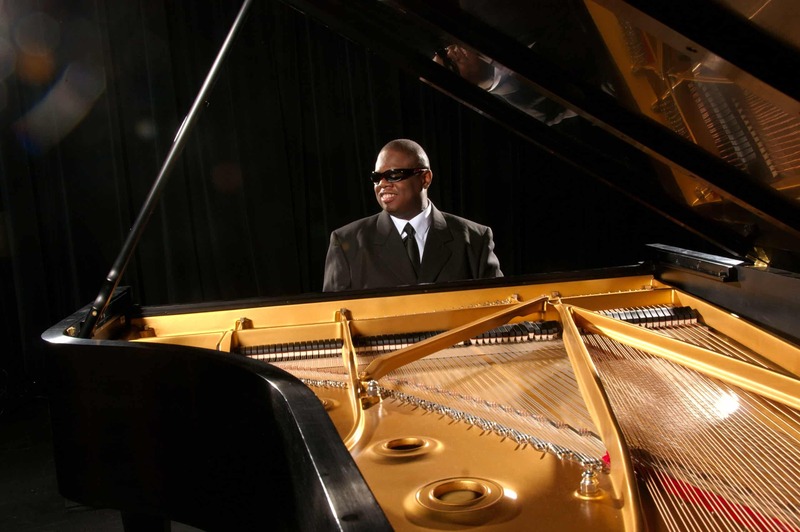 Charles took on an interest in the piano around the age of 4, but began losing his eyesight (most people believe from glaucoma) at about that age and was completely blind by the time he was 7. Shortly thereafter, Charles’ mother managed to enroll him into St. Augustine’s School for the Deaf and Blind and his piano skills flourished. He learned how to read and play braille music, performing classical compositions by Bach, Beethoven and Mozart. However, he was more interested in the songs he heard on the radio – jazz, blues and country. Charles moved to Seattle at the age of 18 and formed his own band. A year later, he notched his first national hit, “Confession Blues” and began arranging tunes for the likes of Dizzy Gillespie and Cole Porter. He moved to Los Angeles and continued making hits and crossover success in numerous genres – gospel, jazz, soul, Latin, blues, country and western. Charles, was of course, a major inspiration for McBride as he pursued his own career as a young musician, realizing, like Charles, that he embraced and was influenced by a vast selection of styles. 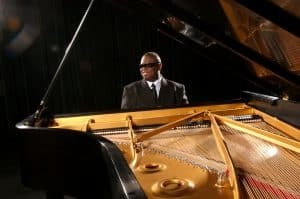 After studying at Webster University in St. Louis and then North Texas, McBride spent the next three decades creating and recording music and touring the world as a bandleader. He’s opened for the likes of Whitney Houston, The Yellowjackets and Larry Carlton. He’s recorded nine full-length albums featuring guest musicians such as Carlton, Grover Washington Jr., Dave Koz and Peter White, to name just a few. Like Charles, McBride has learned something from and his sound been shaped by every individual with whom he’s worked. 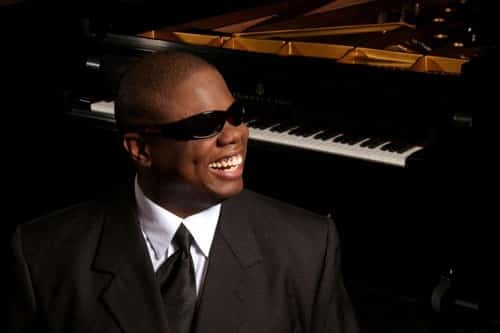 Whether infusing a contemporary pop tune with his own jazz stylings or performing a Ray Charles classic with a smooth and distinctive flare that’s all his, McBride embraces every opportunity to grow. 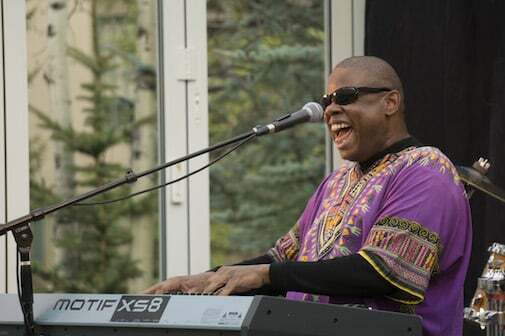 Joe Mcbride Trio – vocalist and pianist Joe McBride, drummer Jamil Byrom and bassist Jonathan Fisher – is joined by special guest Bob Rebholz on saxophone to pay tribute to Ray Charles in the grand finale of the 2018 Vail Jazz Winter Series. 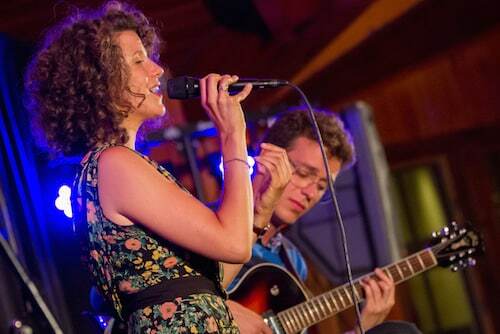 The tribute takes place at Ludwig’s Terrace in The Sonnenalp Vail on April 11 with an evening of classics crossing the lines of jazz, funk, R&B and soul. Doors open at 5:30. The first performance begins at 6 p.m. The second seating takes place at 8:30 p.m. (doors at 8 p.m.) Tickets to each performance are $40. Seating is jazz club style around small tables. Dinner service featuring favorites from the Bully Ranch and a full bar will be available at both seatings. Go here for First Seating tickets. Go here for Second Seating tickets.